Kourtney Kardashian goes on a dinner date with P Diddy's son Quincy! ~ CK Jacob: Nigerian Fiction And Lifestyle Blog. 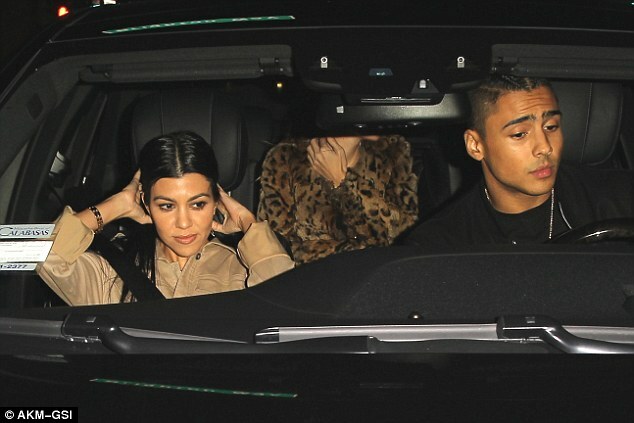 Kourtney Kardashian goes on a dinner date with P Diddy's son Quincy! Kourtney Kardashian is enjoyimg her songle life. After Scott dumping her for a younger woman, she has been linked with 21 year old Justin Bieiber. Now, she's is seen on a dinner date with Quincy, 24, who is the son of rapper Sean 'Diddy' Combs. According to E! she choose to go on a dinner date at Scott's favorite restaurant, Il Pastaio in Beverly Hills.